Snow, Carpio & Weekley - AZ Workers' Compensation and SSD Attorneys: When should I apply for Social Security Disability? Under Social Security’s rules, one has to have a condition that has lasted/is expected to last one year OR result in death. Technically, there is no perfect answer to this question. One can apply the day their symptoms force them to stop working or earning below the amount Social Security considers Substantial Gainful Activity ($1090 gross income per month in 2015). If one has been out of work for a year, it is important to apply immediately. 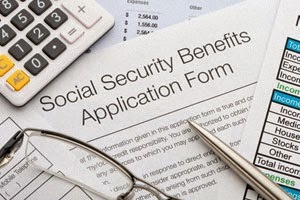 For SSDI candidates Social Security will only pay past-due benefits back one year, even if they find you became disabled and unable to work prior to that time. In those cases, a delay in filing your application can cost you past-due benefits that you could be entitled to. It is important to consult with an attorney early in your case. If you have further questions about this or other SSD matters, you can call our firm at 855-325-4781 for a free consultation or visit us on the web at www.workinjuryaz.com.